In the past few weeks, I have been struggling to get over the flu so that I might be able to keep up with this season’s latest releases. 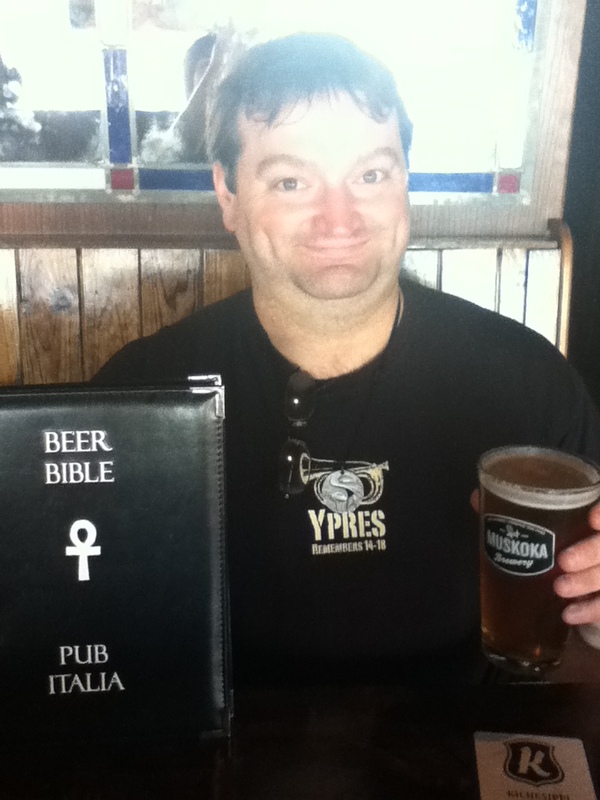 At the same time, I find myself backlogged with beer reviews from my recent trip to Ottawa. Which is really not good considering that some of the best and most adventurous sampling I did this year has remained unmentioned. I choose to remedy that here and now by mentioning my most recent visit (it was the first time I’ve been back in years really) to Pub Italia. 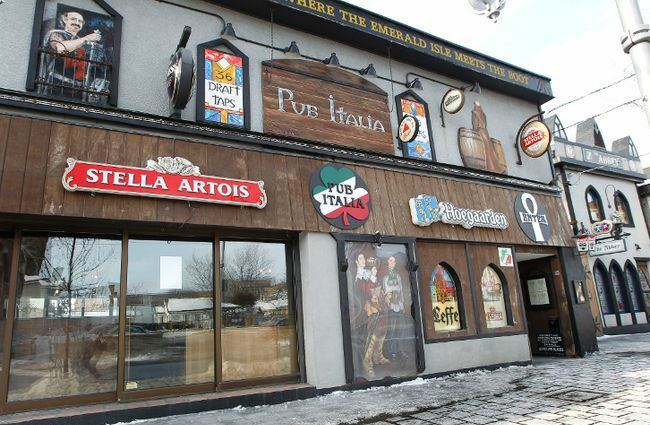 Located in Ottawa’s Little Italy on Preston Street (aka. Corso Italia), this landmark is a combination Italian trattoria and Irish pub designed to look like the interior of a Monastery. This is in keeping with the Pub’s ethos, of how in the Middle Ages, Monasteries were the place where fine beer was crafted, while pubs and trattorias were the designated places for consuming them. In addition to their menu, which includes pub fair as well as Italian favorites, they also boast some thirty taps and a vast array (I’m talking vast!) of bottled beers from around the world. All of these are listen in their Beer Bible, a leather-bound tome the size of a first edition and almost as thick! 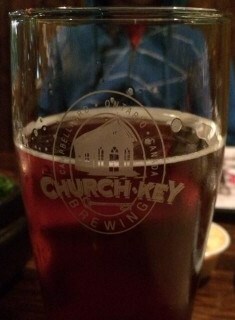 Brewed by Ontario’s own Church Key Brewery, this Irish Red Ale is made especially for Pub Italia. It was my wife’s pint of choice, but of course I had to sample some for myself. And while it certainly was reminiscent of a good Irish Red, the beer’s flavor was both a little understated and a little too much for me. While the malt is rich and syrupy, providing a good mouthfeel, the flavor was a bit off. Ordinarily, an Irish red or any variation of this pale should remind one of baked bread or slightly burnt sugar, not raw dough. And the hop bite was quite absent, to the point that it had no real aftertaste to speak of. Not the best Irish Red I’ve tried to date, but not a lost effort either. What would an Ottawa trip be without an additional installment from the Muskoka Brewery? Though I’m sure I’ve enjoyed the Mad Tom before, a cursory glance at this blog of mine revealed that I failed to take any tasting notes. Hence, all previous samplings don’t count, and any other excuse I need to drink some more! In any case, a tall pint of Mad Tom went quite well with our visit, as it is both immensely malty and hoppy, and dry-hopped with large quantities of Centennial and Chinook hops. The end result is rich in malt and heavily bitter, though perhaps a little too so. A little variation in hops, or perhaps some conventional in addition to the dry-hopping would have provided an added dimension to the flavor. Still, a very good IPA in my opinion. 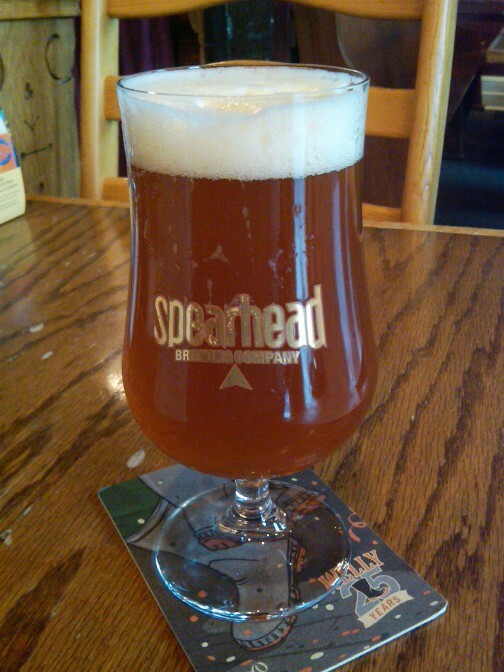 And last, but not least, was this experimental concoction from the Spearhead brewery. Located in Toronto, Ontario, Spearhead is the same brewery that produce the Moroccan brown ale which I sampled at the Manx this year and had nothing but good things to say about. Combining the tropical sweet flavor of pineapple with a pale ale foundation, the Hawaiian-style manages to combine an easy drinking experience with a citrus bite that comes from a respectable dose of dry hops. According to their website, this beer has won numerous awards on the national and international stage, due in no small part to their “ballsy” combinations. And that was my visit to Pub Italia for this year. Next year, I shall be just as eager to go back, as I’ve missed out on the opportunity to visit this old, favorite haunt in recent years. A man cannot live on bottles and cans alone, after all, and if one haunt is being honored, the rest must be as well. So sayeth the beer snob code! 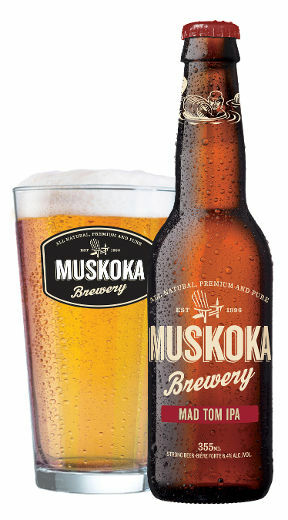 This entry was posted in Ontario Beer, Restaurants/Brewpubs, Reviews and tagged Church Key Brewery, Church Key Dylan's Killer Red, muskoka brewery, Muskoka Mad Tom IPA, pub italia, Spearhead brewery, Spearhead Hawaiian style Pale Ale, spearhead moroccan brown ale by storiesbywilliams. Bookmark the permalink.